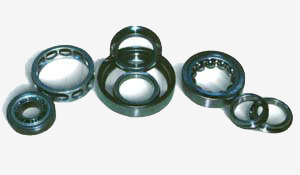 Turbocharger bearings include deep groove ball bearings, cylindrical roller bearings, duplex mounting angular contact ball bearings and special type of duplex mounting angular contact ball bearings. 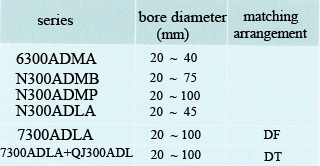 Deep groove ball bearings and cylindrical roller bearings mainly take radial load in high limiting speed. Duplex mouting angular contact ball bearings can support both radial and axial loads simultaneously with a little displacement. As to bearings in higher speed and greater load applications, the material of cages utilize alloyed steel and should be specially treated to the surface.